Engines get hot when they run. This heat can build up and damage vital engine parts, so engines need a cooling system to keep them running. 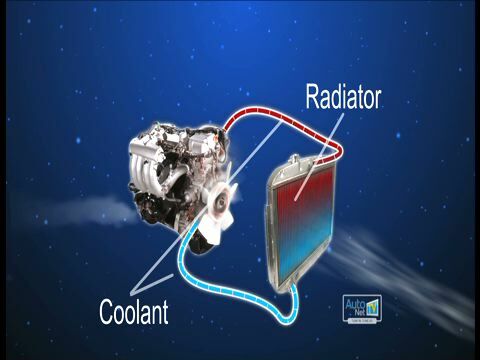 Cooling system failure is the most common mechanical failure in vehicles. This is unfortunate, because these failures are usually easy for Sumter drivers to prevent. Insufficient coolant can lead to engine failure. Coolant levels need to be checked regularly and topped off as necessary. If coolant levels drop quickly or consistently, the cooling system should be inspected for leaks. Coolant/antifreeze contains additives that protect the radiator and other coolant components from rust, scale and corrosion. Over time, these additives are depleted, so it is necessary for Sumter drivers to replace coolant at specified intervals. Changing coolant should be part of routine preventive maintenance for any vehicle. This service is often ignored, though, since old coolant still cools the engine. Vehicle owners don't realize there is a problem until the system fails. They are left with major repairs and possibly a damaged engine, which could have been prevented with a cooling system service at Turner's Garage & Transmission in Sumter. Topping off in an emergency, however, does not fix the problem. The vehicle should immediately be taken to Turner's Garage & Transmission in Sumter where they can inspect the cooling system, repair any leaks and clean it if necessary. They can identify what caused the emergency situation in first place and ensure it doesn't happen again. Regular maintenance of a vehicle's cooling system is just good auto advice for Sumter drivers. Cooling system service is relatively inexpensive and doesn't take long at Turner's Garage & Transmission. Lack of it, however, can put a vehicle in the scrap heap. Talk to our service advisor at Turner's Garage & Transmission for more information.